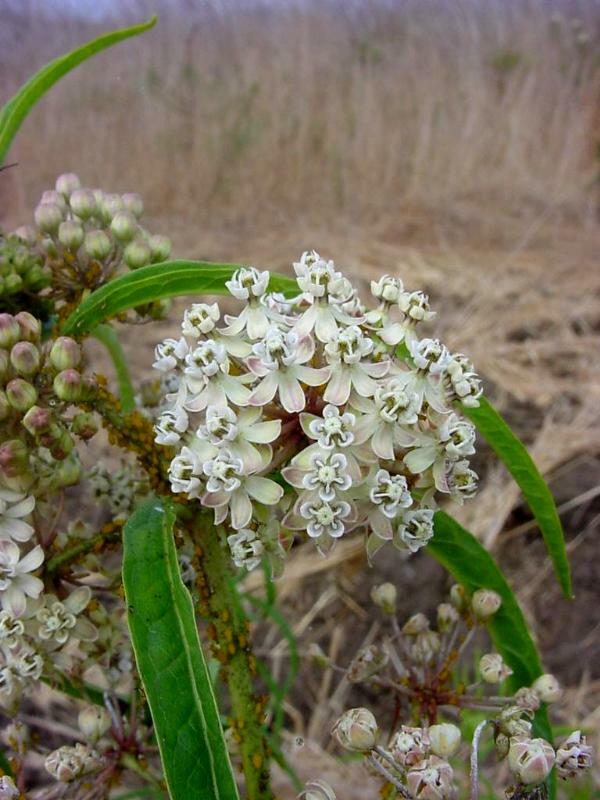 Narrow-leaved milkweed is an erect, slender herbaceous perennial plant growing to some 3' tall with several glabrous stems and milky juice. 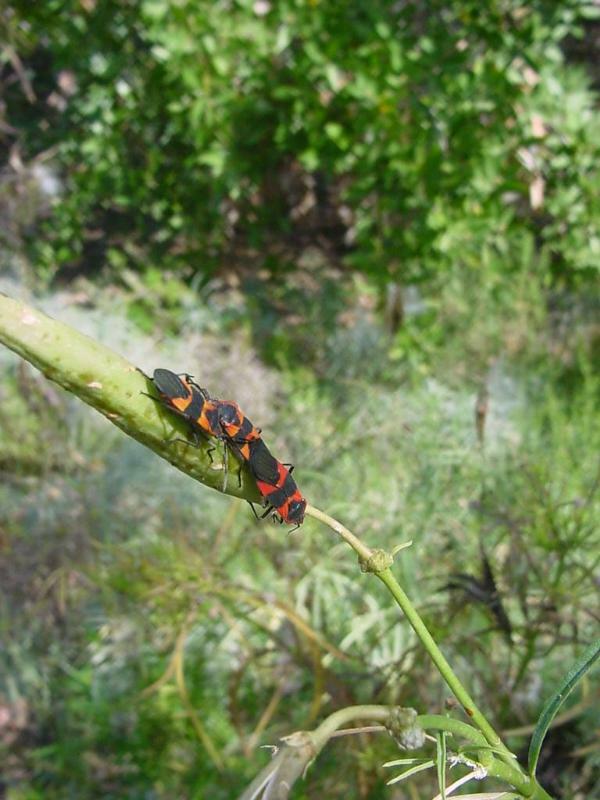 The leaves are 5" long and up to 3/8" wide, commonly folded along the midrib, linear to linear-lanceolate, with short petioles, and usually in whorls of three to six. 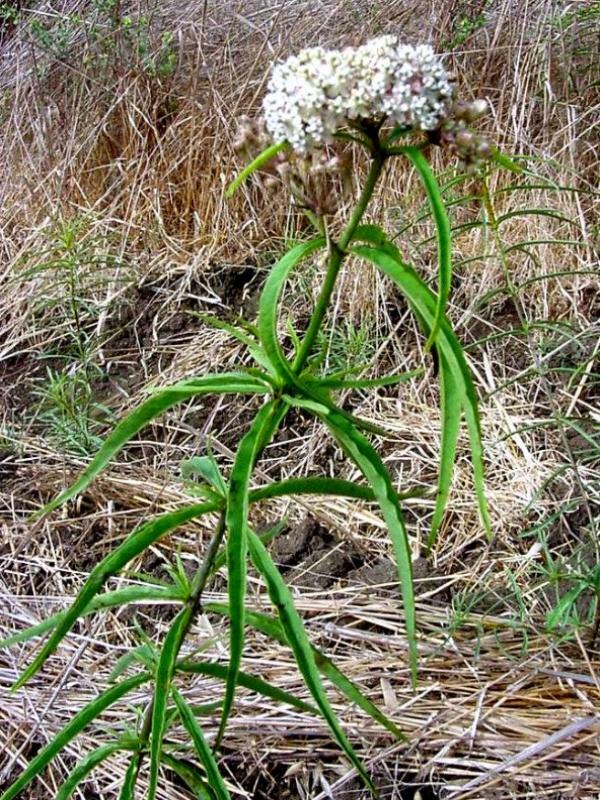 The flowers are greenish-white, umbellate, with a five-merous deeply-lobed calyx which is usually imbricate and a corolla with five spreading lobes surrounding a raised crown made up of five concave hoods each with an incurved exserted hornlike structure. The five stamens are fused to form a filament column, and the anthers are united and inflexed on a massive pistil head which is formed by the fusion of the style tips. The fruit is a smooth, brown, narrow, sharp-pointed pod about 3-1/2" long which splits open on one side upon maturity to release seeds 1/4" long each with a 1-1/8" long coma of fine silky white hairs. 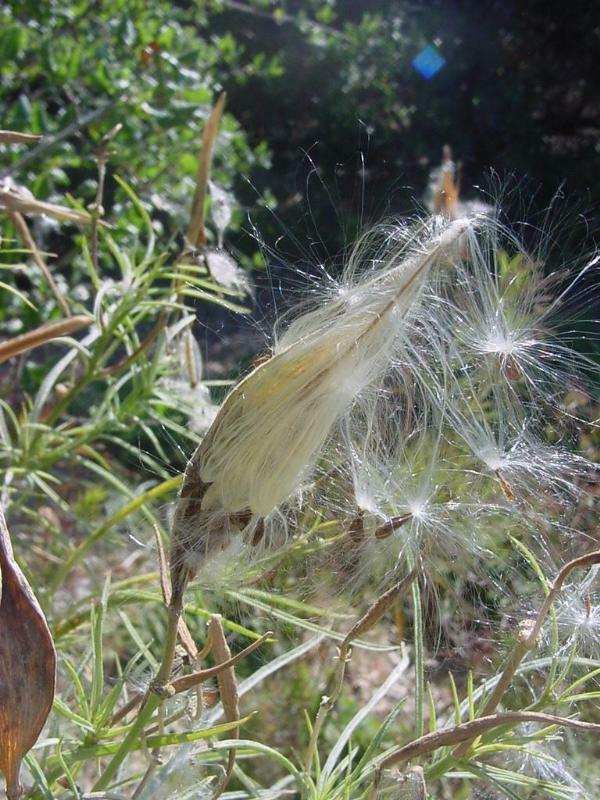 Narrow-leaved milkweed is a common species of dry open places mostly below 7000' in many plant communities, blooming from June to August. 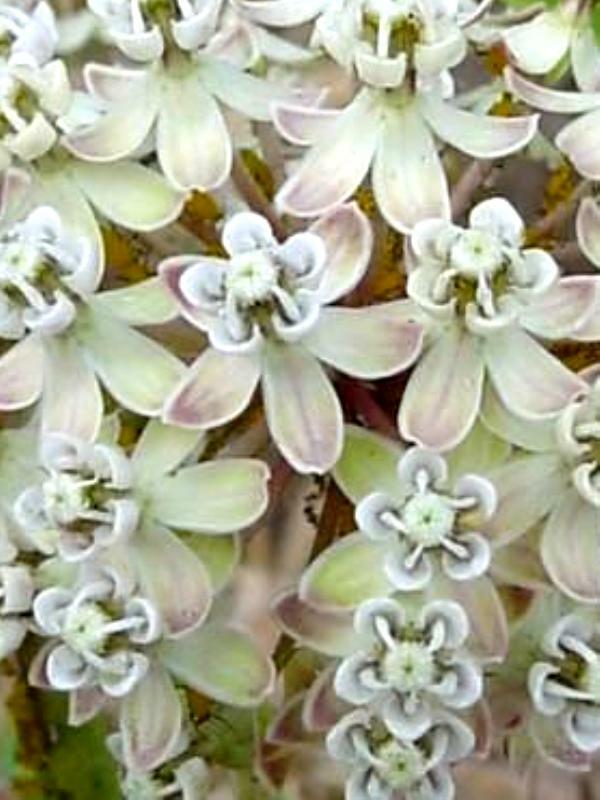 Click here for name derivations: 1) Asclepias 2) fascicularis.